I have to hold my hands up and say I haven’t sewn a single stitch in August. I had all sorts of plans and ideas, but the school holidays defeated me on the sewing front. Not that I’m complaining, we’ve had a great time. Lots of trips to the beach, playing in the park, picking fruit and veg at the allotment, sunny (yes, sunny) camping trips…I just haven’t had a moment to sit down and stitch! Having said that, we’ve still had a crafty Summer with lots of colouring, painting and drawing. 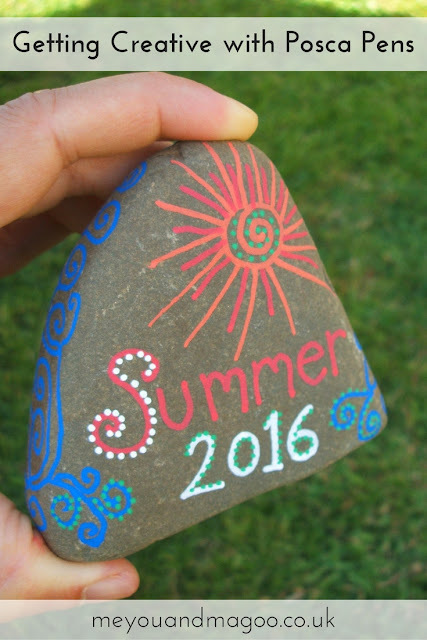 One thing we have loved is crafting with our Posca Pens. They draw on pretty much any surface you can think of…glass, stone, wood and plastic to name just a few. We put our Posca Pens through their paces and you can see my review post here. 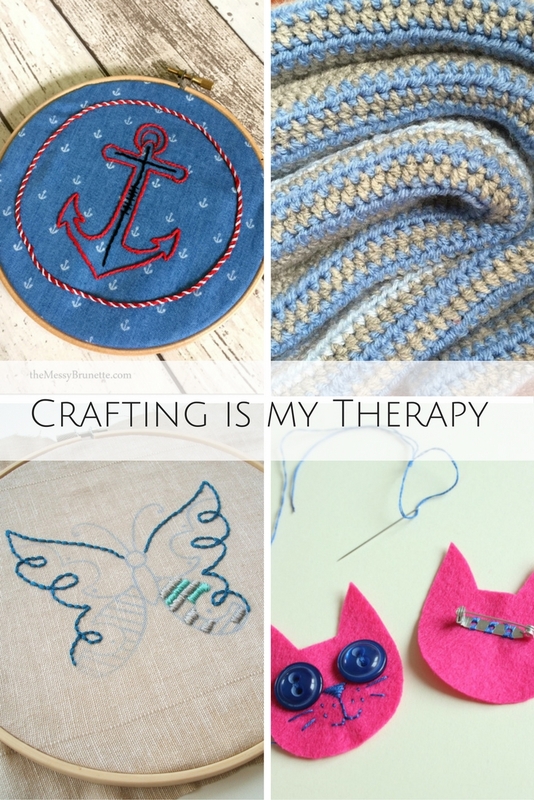 The “Crafting is my Therapy” linky will open on 5th September and stay open for the whole month – giving you plenty of time to get involved. 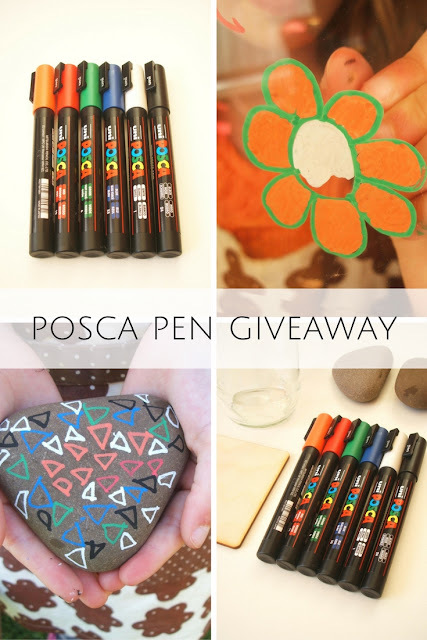 – One winner will receive a pack of Posca Pens described above. – In order for an entry to be eligible it must be a relevant post, it must mention the "Crafting is my Therapy" linky either by text link or using the badge. It must link back to one of the hosts. The linky will remain open until 11.55pm (GMT) on Friday 30th September 2016.